5 Steps to Achieving Low TCO on Your Next Bar Code Scanner | Taylor Data Systems, Inc. The value placed on the equipment we use for business runs the gamut between insignificant (like your stapler, for example) to very significant (like your computer). When we refer to “value” we’re talking about the big picture – the overall value provided by the device – from its cost to the function it performs. 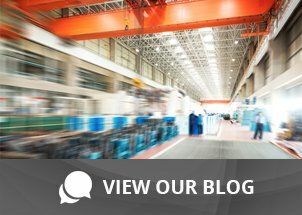 From the perspective of the warehouse worker, it’s important to keep productivity high, and costs low. 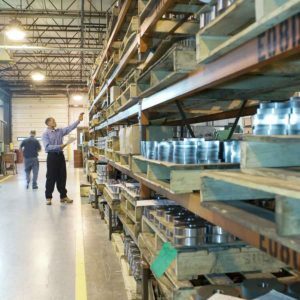 There’s not much room for downtime, and the cost of errors due to mislabeling, misshipments, packing errors and stockouts compound the costs incurred. With a focus on barcode scanners in general, they are relatively low cost compared to the huge value they provide in the warehouse. If you compare the amount of time it takes to accurately and efficiently process an order, or be able to effectively keep track of inventory or assets with an automated solution, you quickly realize how valuable these devices can be. And relative to a mobile computing device, a handheld barcode scanner is inexpensive; packing a punch in the value category. Even when you add features like Bluetooth® capability or upgrade to an industrial-grade scanning device, you squeeze in even greater value to help increase operating profits. Scanner Value: What to look for. How established is the company? Do they have a prominent US presence? Despite the cost, will my employees be satisfied with the performance? What kind of warranty comes along with these scanners? What features are necessary for my application? Choosing the right device will save you money over the long term. For example, purchasing a commercial device for an industrial application may not be the right choice if the device will be dropped to concrete on a regular basis, be exposed to extreme hot or cold, or subject to dust, dirt, water sprays, etc. Keep in mind lost time and possibly lost business if production is halted with a failing device. That also increases the total cost and decreases value. Cheaper isn’t always better over the long haul. Remember, most of the low-cost, imported scanners only come with a one-year warranty. That means you will more than likely be buying 3 to 4 over a five-year period, if not more. It adds up! When you calculate TCO, your inexpensive scanner suddenly becomes not so inexpensive. Avoid the headache of spending less now and more later. We can help you choose the right device for your application and keep your total cost of ownership low, while productivity stays high. Contact us today for the scoop on our most successful, cost-effective barcode scanners.